Odd Future mouthpiece Tyler The Creator has announced a new solo record, his second. 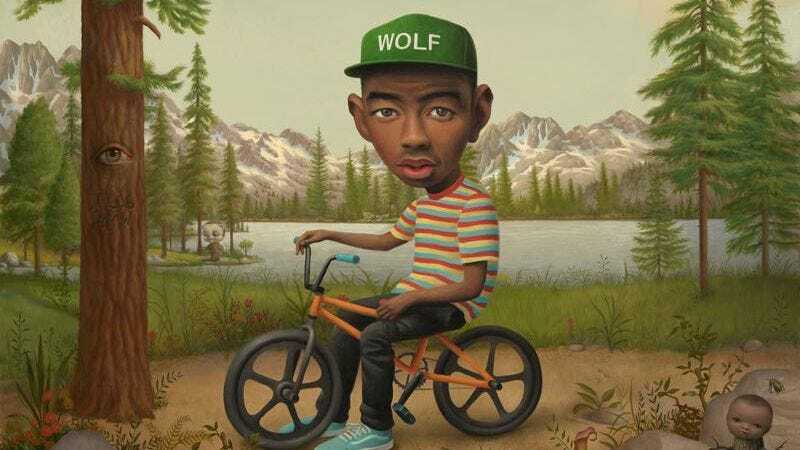 Wolf is due April 2 via Odd Future Records and boasts three different, pretty awesome covers, including one by L.A.-based artist Mark Ryden. The polarizing rapper is also launching a new line of clothing, Golf Wang, which he’ll sell as merch on his upcoming tour. Dates—a bunch of which will be at venues that have yet to be announced—are below.